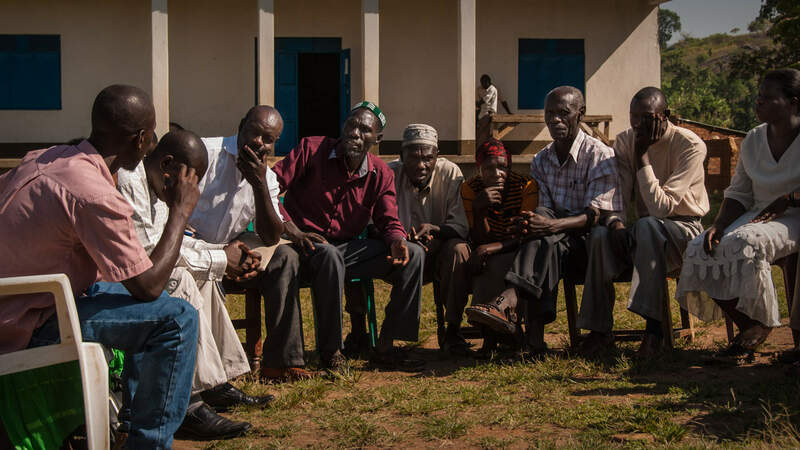 On our first day in Uganda, we got to meet with some key players in the Peace Kawomera efforts. It was all about relationships from the get-go. Help foster job creation, economic security, and greater community cohesion. The community leaders wanted to dive right into the heart of the conversation. There are some 130,000 people in the area. There are 535 organic farms and 2000 farms altogether in the cooperative. Back in 1988 there was conflict and relations began to sour between the communities. Schools were the first cause that brought people of different religious traditions together. Next, parents of the students came together to form the co-op. The schools were key to helping people coexist. They built and sustained relationships not only between students, but between their parents. Right now there are 131 Christian, 139 Muslim, and 55 Jewish students enrolled. We left the seminar excited – and exhausted. So much work lay ahead!